A mountain overlooks the Missouri River in Montana near Helena, and that mountain is called Mount Jessie by some, especially by those related to a woman who died in 1968 and whose ashes lay scattered on the mountain’s peak. Her parents owned a general store nearby, and when she was a girl she named the mountain after herself. I take these lines to mean that in a literary work a single sentence or detail or image – even a particular word – can act as a “vein of jade” that makes the whole work glisten. One way that happens, I believe, can be found by exploring Mount Jessie and the book in which it’s mentioned, Norman Maclean’s classic nonfiction work, Young Men and Fire. The book, published posthumously in 1992, tells the story of the Mann Gulch Fire, which killed thirteen young smokejumpers in Montana during the summer of 1949. The smokejumpers became trapped on a steep slope as a fire of biblical proportions chased them uphill. The fire suffocated them before they burned, sucking oxygen out of the gulch and replacing it with toxic gases. I first read the book at my wife’s encouragement, and then together we visited Mann Gulch to see what Maclean had chronicled. His book has that kind of power, to get you off your couch and into a boat on the Missouri River, to climb switchbacks on a hot summer day so you might stand on a particular spot of earth and then reflect on wind and fire and life and death and forces mightier than you will ever be. The book draws that power from many sources, including Maclean’s elegant prose. But perhaps its greatest power stems from its vein of jade, not revealed until the book’s last words. Though those last words contradict nothing that has come before, they shift the book’s energy and focus, expanding the meaning of Maclean’s work in a startling way. I would argue that these last words elevate the book from being merely good to being great. Perhaps it is not odd, at the end of this tragedy where nothing much was left of the elite who came from the sky but courage struggling for oxygen, that I have often found myself thinking of my wife on her brave and lonely way to death. To this point, Maclean has focused almost entirely on the smokejumpers and the fire. Now, at the most rhetorically powerful moment in any book, its final words, he turns to his wife. The book achieves a sudden, deeper intimacy, poignant and powerful because Maclean has thus far written only sparingly of his wife – just three quick mentions in the previous three-hundred pages. It is an amazing sleight of hand: he has honored the men who are his primary subject by focusing on them, only to disclose at the end that making this book has served another purpose. And we readers come to understand that Maclean’s years spent with Young Men and Fire have allowed him to meditate on his wife and her death, that at the heart of this story is a grieving husband still gripped by his wife’s “brave and lonely way” to her end. Delivering this personal heartache at the book’s last line might be too jarring for a reader. One can imagine a contemporary editor suggesting MacLean position himself and his grief at the story’s heart, perhaps to open with her death, make the book a memoir. But to my mind, the jarring quality engendered by Maclean’s restraint is essential to the book’s success. So, Maclean, in his desire to understand with compassion the suffering of those who died in Mann Gulch, is guided by the understanding he has acquired about agony and death from those so close to him. He doesn’t tell us whose suffering has given him this understanding. But a page later, he indirectly makes the connection. As he wonders what the young men might have suffered in the oxygen-less vacuum of the fire, he recalls what his wife told him as she was dying of esophogeal cancer. “I feel,” she said, “as if I had spent all winter with my head under water.” The reader now knows that it was his wife’s suffering that guided Maclean’s understanding of what it means to suffocate, of what it meant to be caught in Mann Gulch. Look, there is a mountain downriver no farther than twelve miles from here by air that also looks over the Missouri. It was named by my wife when she was still a girl, and she named it Mount Jessie after herself, although she lived an otherwise modest life. At her request her ashes are there now. Nobody should feel bad if I should remain behind on one of these hills that looks her way. That’s all we get with this second mention. Jessie Maclean’s appearances are brief, casual asides. We learn almost nothing about her death or what her husband’s life has been since. We’ve read little to personally connect Maclean to the story he tells. He has held back, modest about her and him, restrained by the inexpressible force of grief, unable to engage with his emotional truth except at a slant. Only in the last moment does he reveal the jade. That’s when the whole mountain – this remarkable book – glistens. 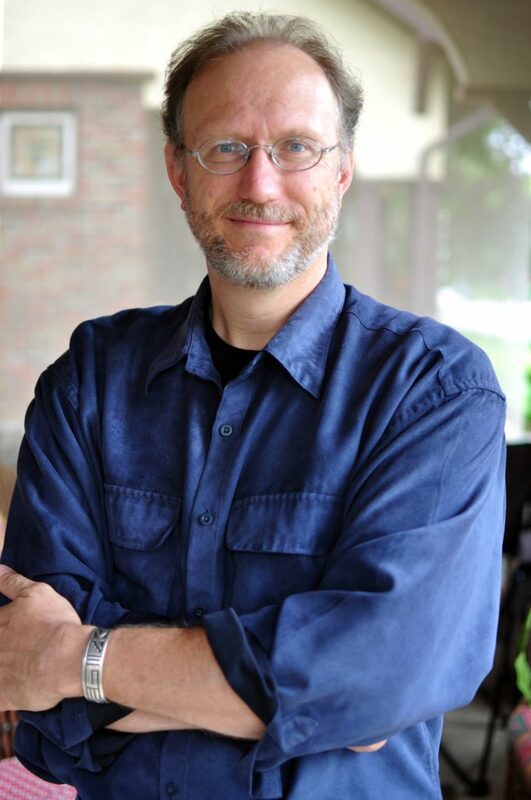 Michael Downs’ nonfiction has appeared most recently in The Georgia Review and The Southern Review. His book, House of Good Hope: A Promise for a Broken City, is a winner of the River Teeth Literary Nonfiction Prize. His other books include a novel, The Strange and True Tale of Horace Wells, Surgeon Dentist, and a story collection, The Greatest Show. He lives in Baltimore, Maryland and teaches creative writing at Towson University. I did not fall in love with that book, though I recall and loved these lines. Perhaps a second reading is in order. Maclean had his ways with words, despite his limitations, he can carry you right away. My first reading of the book didn’t leave me head-over-heels for it, either. But those last lines stuck with me, and ultimately they led me to reread the book. Three reads later, I’m convinced that because of Maclean’s restraint, Young Men and Fire works by accretion, not flash. And maybe there’s a risk in that. A restrained book might come off as recalcitrant or lacking in passion or missing whatever spark it is that makes a book on first read come off as thrilling. But in the end, I believe that’s part of this book’s power. It gives the same feeling I get sitting for an hour or more waiting for a deer or elk or some such to come out of the woods. If you do give the book a second read, I hope you’ll let me know the result. I have not read this book, but this craft essay is right on point. Thank you for writing it. What a beautiful guide to reading. Thank you. It’s a lovely line, isn’t it? I know the essay here at Brevity is generally about Young Men and Fire, but I also recommend the Wen Fu. It’s a small book, full of wisdom about writing — and by implication — reading, as you note. Thanks for that reminder. Isn’t serendipity a wonderful thing? I have struggled with a piece of writing for the longest time. I knew it was good, but that was all. Now I know I how to take it much further. Thank you. Wendy, that’s great to hear. If the particular piece finds a home, I’d love to know that news and be able to read another example of writing with restraint. Will you find me through my web site (you can click on my name here) and let me know? Cheers. Oh Michael, I just read this again. I’ve forgotten how much I love this book. Glad to oblige, Erin. The book is so lovely, I’m glad to be a vehicle for reminding people of that, or for introducing them to Maclean’s work beyond A River Runs Through It.